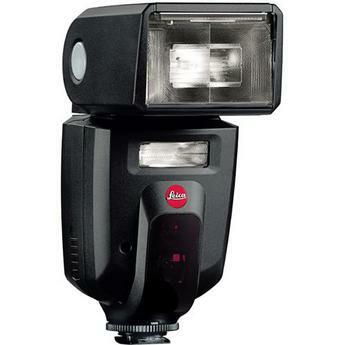 Leica SF 58 is compatible with the TTL metering systems in select Leica-R SLR cameras, Leica-M rangefinders, and the Leica-S medium format digital cameras. The flash features an automatic/manual zoom bounce and swivel head that goes from 24-105mm with the option to use a diffuser that spreads the light to accompany lenses as wide as 18mm. Their is a secondary light output on the base of the flash to accompany the main output. This allows you to mix and match effects from both flash outputs. Note: The flash requires 4 AA batteries to operate.